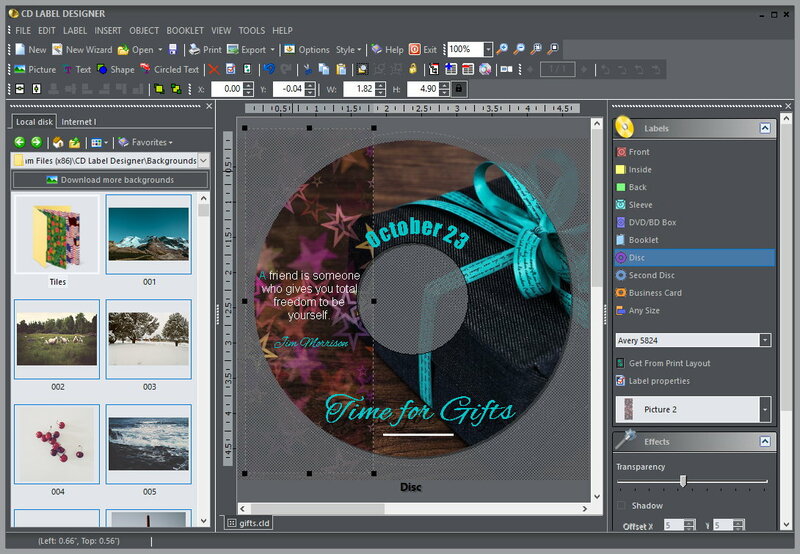 It supports images, RTF texts, circled texts and shapes allowing you to arrange, change size, angle and transparency of objects. You can also read directory and file structure, CDDB audio CD database or define own lists to include them on labels, and you can customize printout positions. With template files you can pre-define number of templates for different kind of designs. Also, you can make different print layouts and exchange them with others, and you can customize printout positions. Very easy to use.